Scientists working with the Hayabusa2 spacecraft, that recently grabbed a sample from a small asteroid that orbits between Earth and Mars, describe the object as a flying rubble pile. The mission has revealed the asteroid is a loose conglomeration of rocks and boulders held together by weak gravity. The process that formed the asteroid is, on a much smaller scale, what led to the formation of the planets billions of years ago. The Hayabusa2 team was surprised at how boulder-strewn the surface of asteroid Ryugu turned out to be. It was rugged enough that it was a challenge to find a smooth spot to take a sample. Video of the sampling process, shows how the probe slowly descended, touched down for less than a second, and fired a projectile that blasted material upwards. They hope they were able to capture some of that flying debris in a sample container that will be returned to Earth next year. The remarkable part of the video is how many pieces of rock and dirt were flung upwards and how they floated above the surface for an extended period of time before slowly falling back down. That's because the gravity on this 900-metre wide body is only 1/80,000 of the gravity of Earth. That's almost unimaginably weak. An 80 kg person standing on the surface of Ryugu would exert a force on the ground as if they had a mass of only one gram. In fact, it would be difficult to even stand because just the smallest step would lift you off the surface where you would apparently hover for at least several seconds before slowly drifting back down. If you tripped on its boulder-strewn surface, there would be plenty of time before you do a face-plant. Your body would fall, accelerating downwards at just 0.11 mm/s squared. Compare that to the 9.8 m/s squared you'd fall on Earth. In less mathematical terms, it would be slower than molasses in January. On Ryugu, it would easier to leap tall buildings in a single bound than to walk. 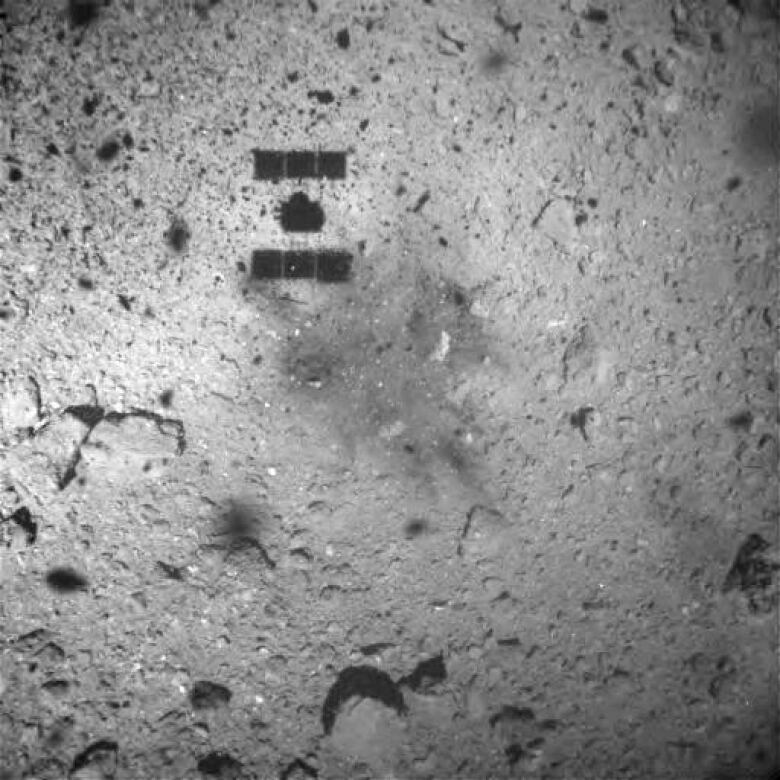 Scientists believe Ryugu may have originated as part of a larger object involved in a collision that blasted material off into space. Those rocks and boulders flew together as a cloud of debris, then eventually, over time, their mutual gravity drew them together into the flying rubble pile we see today. Ultima Thule, which was photographed on January 1 by the New Horizons probe as it continued its mission past Pluto, is another small object in space that appears to be a composite body. It looks as if it were assembled from pieces that came together and stuck, giving it the appearance of a snowman. Gathering small bits together that are floating in space and clumping them together into larger objects is known as accretion. It's the process that is believed to have formed the planets of our solar system billions of years ago. 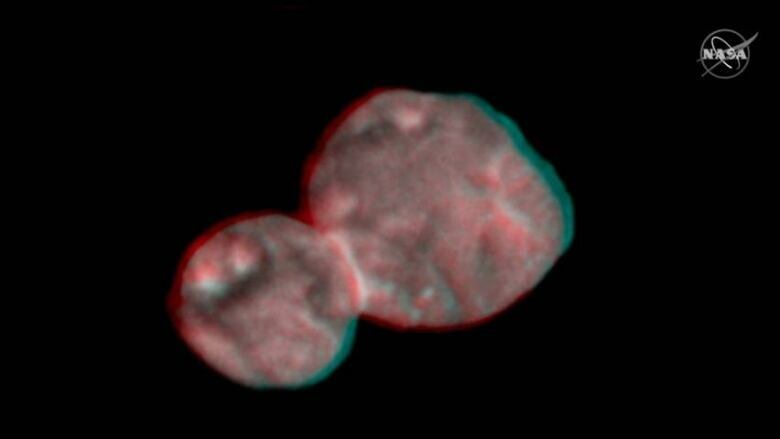 At that time, within an enormous cloud of dust and debris, small clumps came together into larger clumps. As their mass increased, so too did their gravity, which in turn attracts more pieces, and so on until some of those objects grew to the size of planets. In fact, the accretion process is still continuing to a lesser extent today as the Earth scoops up somewhere between 100–300 tons of debris from space every day as we journey around the sun. That includes meteors such as the one we learned this week recently exploded over the Bering Sea last December. Many of the smaller bodies in our solar system — asteroids, comets and Kuiper Belt Objects — are remnants from early solar system accretion which were not swallowed up by larger objects and incorporated into planets. They're like the leftover ingredients spilled on the table after the cake has been made. That makes them very valuable to study because they tell us about our own origins, possibly even the origins of water and life on Earth. 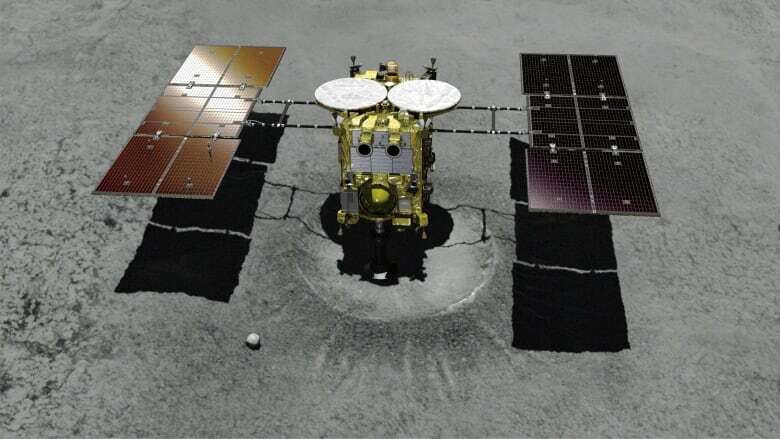 We will have to wait until Hayabusa2 returns to Earth with its precious sample from asteroid Ryugu to find out what secrets of our past it really holds.